Last fall, I drove five hours on a lumpy, potholed dirt road northeast of Fairbanks, Alaska to the tiny outpost of Manley Hot Springs. Situated literally at the end of the road, this loosely settled hamlet has a year-round population of 30, a post office, some hot springs hidden on an old lady’s property ($5 gets you a private soak), and a handsome 1903 clapboard roadhouse that is the local citizenry’s de facto headquarters. When I arrived, let’s just say the locals were less than friendly. But with some time spent around the u-shaped bar—and plenty of Budweisers—they started to warm up. (I think I was probably the only Obama supporter within 100 miles, judging by the political talk.) Nonetheless, this is the classic roadhouse tradition: a warm, comfy gathering place that is a harbor for travelers in this harsh and often hostile country. A place where strangers swap tales of road conditions, weather, and news. In the early 20th century, hundreds of these roadhouses dotted Alaska’s gold-rushing trails and dogsled routes. Since then, most have succumbed to fire or the elements. But a hardy band of preservationists is working to save the last of these roadhouses before they disintegrate. For a couple of weeks, I took road tripped to meet some of these devoted souls, explore the old timber structures, and hear wild tales of Alaska’s past. 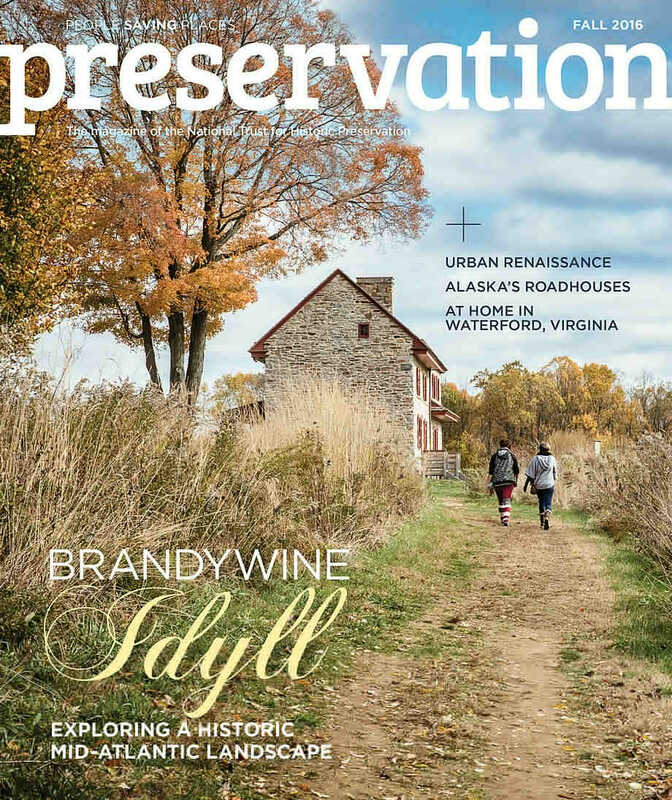 The result is “North Stars,” a feature story in the fall issue of Preservation magazine, accompanied by beautiful photography by Kyle Johnson. Check it out here.